The Department of Intangible Cultural Heritage of Tokyo National Research Institute for Cultural Properties has been participating in a research exchange program with the National Intangible Heritage Center in the Republic of Korea since 2008. As part of the research exchange program, we hosted Ms. Yun Soo Kyung, researcher of the National Intangible Heritage Center, as a visiting researcher from October 15th to November 2nd, 2018. Ms. Yoon Soo Kyung’s theme in this research exchange program is Japanese folk technology as an intangible cultural heritage, particularly focusing on salt production and tea production. 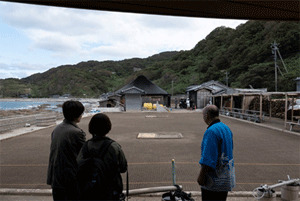 Therefore, the Department of Intangible Cultural Heritage supported her research expertise by traveling with her to the following cities: Suzu City in Ishikawa Prefecture in the Okunoto area, known for agehama-style salt production designated as one of the nation’s Important Intangible Folk Cultural Properties and Shizuoka City in Shizuoka Prefecture as well as Uji City in Kyoto Prefecture, reputed for tea production. Folk techniques as an intangible cultural heritage is regarded as one of the three categories in intangible folk cultural property in Japan along with manners and customs, and folk performing arts. However, in 2004, when the Act on Protection of Cultural Properties was amended, folk techniques were added to this list. In 2018, 309 items were designated as the nation’s Important Intangible Folk Cultural Properties but only 16 items were classified into the category of folk techniques. With regard to salt production, the production of agehama-style salt in the Okunoto area is designated by the country as an Important Intangible Folk Cultural Property while tea production is designated as a folk property, not by the country but by the prefectures. 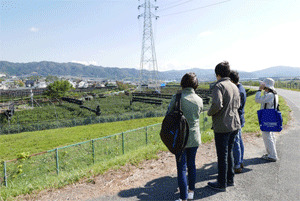 “Uji Tea” is produced in Uji City and the tea fields and tea factories are considered as elements comprising the “Cultural Landscape in Uji,” designated as the nation’s Important Cultural Landscape, as well as components of “A Walk through the 800-year History of Japanese Tea,” designated as Japan Heritage. In Korea, salt production and tea production are classified into one of the categories for intangible cultural properties, “traditional knowledge,” and they are also selected as national cultural properties. Under the Act on Protection of Cultural Properties in Japan, designation of a certain intangible folk cultural property requires the authorization of its conservation group(s). In Korea, such a property inherited in a wide area can be designated comprehensively without identifying its holders or conservation groups. It is interesting to know the differences in the Japanese and Korean protection systems for intangible cultural properties. The advantage in this kind of a research exchange program is an understanding of the differences in the classification of intangible cultural properties by the two countries, which results in knowledge of the differences in how conservation should be supported. It is meaningful for both countries to start seeking better ways to conserve cultural properties in their own country through the cultural exchange programs.